The Highlights Foundation symposium "Beyond the Holocaust and Holidays: Who Are We and What Are We Writing?" asked these questions: What stories do today’s children need from Jewish book creators and about Jewish people? What stories speak to our varied experiences? And how can we diversify the existing body of Jewish children’s literature? 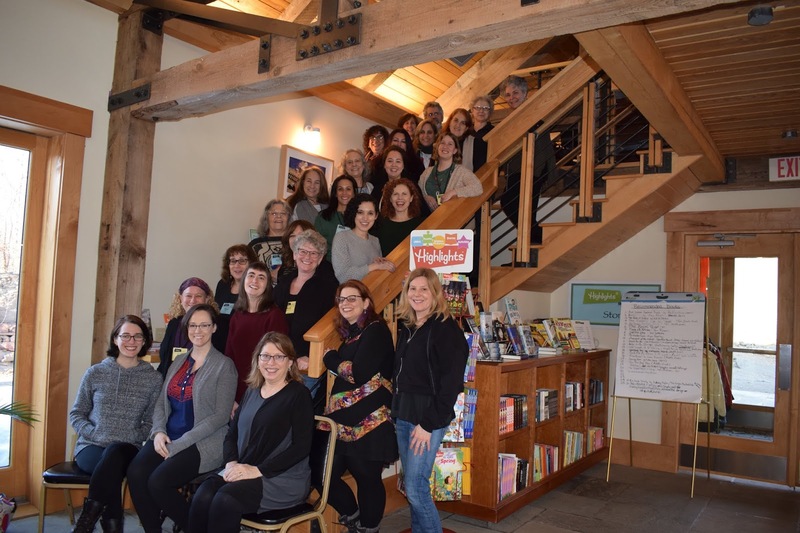 Participants gathered to explore where Jewish novelists fit in the business of writing for children and teens. "Beyond the Holocaust" was featured on The Book of Life in January 2019 when we recorded a panel discussion among several of the presenters. 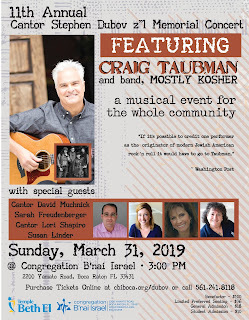 The workshop was held in March 2019, and I invited organizer Linda Epstein to reflect on how it went. "We can literally make the world a better place one book at a time." Rather than being structured as a weekend where the faculty were teaching the students principles or concepts relative to writing Jewish children’s literature, the weekend was structured as a symposium—a four day conversation—where the free exchange of ideas and experiences between the participants and faculty might open up a larger conversation about what Jewish children’s literature can be. The participants, who were all writers, showed up having thought about their Jewishness relative to their writing, whether they’d written anything considered to be “Jewish” or not. "Although Jewish writers and publishing professionals might not be marginalized within the profession, Jewish stories are." One of the goals for the weekend was to talk about where Jewish people and Jewish stories fit in the conversation about diversity and representation of marginalized groups in children’s publishing. The symposium was organized as a series of keynotes and round table discussions. We posed questions, which the participants were able to dive into and grapple with, both individually and with the faculty at the round-tables. One take-away, that I think most of the group got, was that although Jewish writers and publishing professionals might not be marginalized within the profession, Jewish stories are. 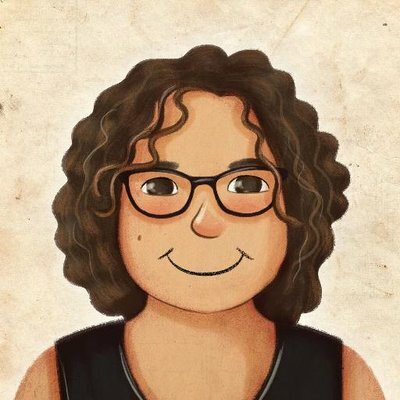 I think this is a diversity issue unique to Jewish kidlit. The push for diversity in publishing hasn’t yet fully included or embraced the idea that Jewish stories are just as important and needed as stories from other marginalized groups. "We talked about how Ashkenazi and Sephardic representation are different, as well as about Jews who are people of color, or queer, or disabled, Orthodox, observant, or secular, Israeli or not." 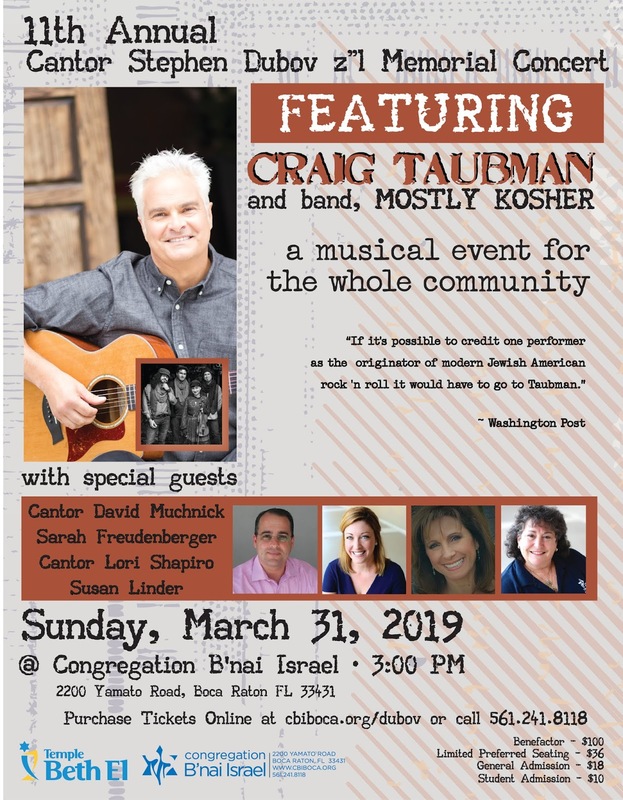 As well, diversity within the Jewish population was discussed, both by what was presented from the faculty, as well as emerging organically from the participants. Being Jewish doesn’t mean just one thing. We talked about how Ashkenazi and Sephardic representation are different, as well as about Jews who are people of color, or queer, or disabled, Orthodox, observant, or secular, Israeli or not. One of the biggest things that I think many of the participants came away with is that however they are—as a Jew—is Jewish enough. We all have the right to claim our Jewishness on the page and in our stories, whatever that may look like. I honestly think that the faculty learned just as much as the participants. One participant said she’d never been to another conference where there wasn’t a hierarchy between the faculty and participants. The goal was to learn from each other, with the faculty there to share their particular expertise, but also to engage in dialogue. "People were energized by the idea that Jewish fantasy writers have our own myths, legends, mythical creatures, and magical systems from which to draw." Many of us learned about a rich well of tradition of Jewish fantastical elements—from witches and vampires and dragons and unicorns—that we can draw from. I think Rena Rossner’s keynote opened up the eyes and creative minds of just about everyone in the room, when she shared her vast knowledge of the subject. So many people were energized by the idea that Jewish fantasy writers have our own myths, legends, mythical creatures, and magical systems from which to draw. I believe we all walked away with more courage to write stories that might be classified as Jewish stories; because the more stories submitted to agents and publishers the more chance they will get published. It’s a numbers game. 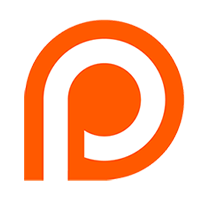 "It’s like shouting into the wind to only be engaged in this conversation with writers if publishing houses won’t make our stories into books." It is my intention to have more people who work in publishing at the next symposium as participants. It’s like shouting into the wind to only be engaged in this conversation with writers if publishing houses won’t make our stories into books. Jewish publishing professionals are in a unique position to bring change to their publishing houses. 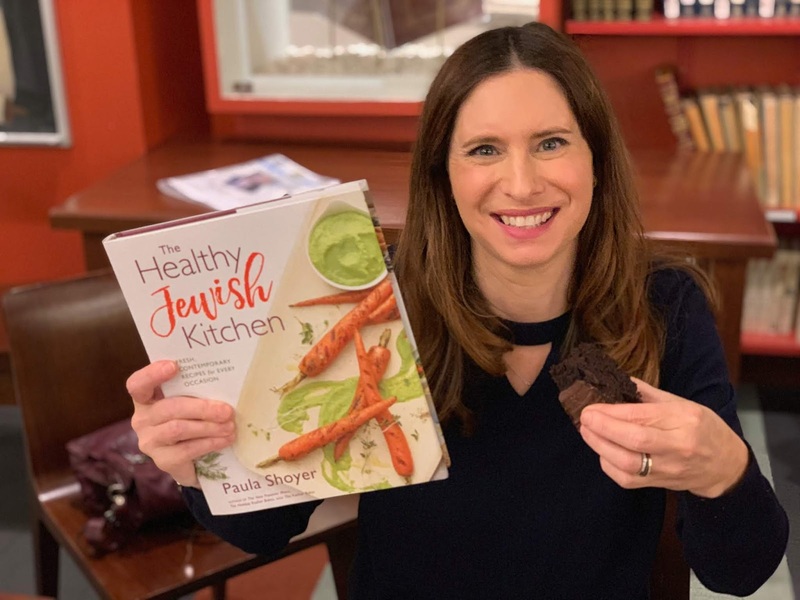 "My hope is that the symposium will open up the larger conversation about Jewish representation in children’s stories so that publishers will see the value in creating Jewish books that all readers can connect with." The increase in hate crimes towards Jewish people and the rise of anti-Semitism in the United States and globally is skyrocketing. Publishing books for kids written by Jewish people, that have Jewish characters or Jewish stories, can make a direct impact on that. The mirrors, windows, and sliding glass doors everyone talks about books providing, can influence how non-Jewish kids and adults see Jewish people, and how Jewish kids and adults see themselves. My hope is that the symposium will open up the larger conversation about Jewish representation in children’s stories—beyond Holocaust stories, and beyond stories about our holidays—so that publishers will see the value in creating Jewish books that all readers can connect with. It’s been scientifically proven that reading novels creates more empathy in human beings. We can literally make the world a better place one book at a time. 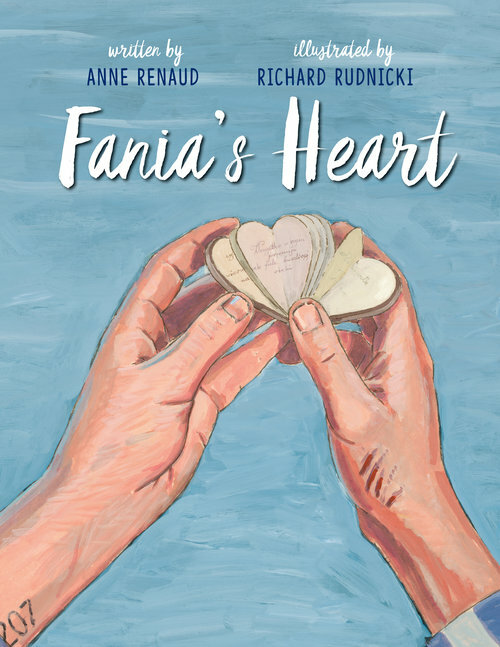 The Book of Life’s Canadian Correspondent Anne Dublin spoke to author Anne Renaud after she won the 2018 Canadian Jewish Literary Award for Fania’s Heart, a Holocaust picture book for older readers. 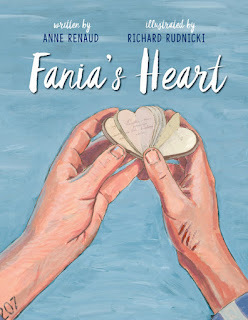 It’s the true story of a heart-shaped birthday card created in Auschwitz at great personal risk by women prisoners, from scraps of fabric, stolen materials, and glue made out of bread and water, for the 20th birthday of fellow prisoner Fania Landau Fainer. The real heart is now in the Montreal Holocaust Museum, and it’s one of the few surviving objects created by prisoners of Auschwitz. Be sure to check out this documentary, which was the inspiration for Renaud to write this book.